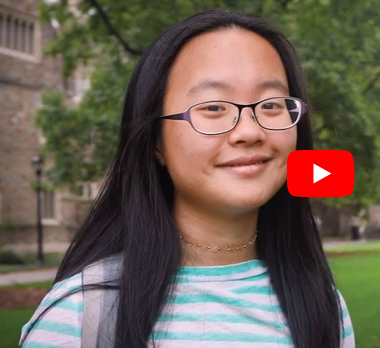 DukeEngage-Durham 2017 participant, Grace Mok, was featured by The Duke Endowment in a new video and article that showcase her ongoing work with her community partner. The article, Opening the Door to Service, appears on The Duke Endowment website. Now a junior majoring in economics, she describes those summer weeks as transformative. At Duke University, DukeEngage gives students like Grace a chance to participate in immersive service opportunities in the United States and abroad. The program was launched in 2007 with the combined gifts of $15 million each from The Duke Endowment and The Bill & Melinda Gates Foundation. Since then, some 4,000 undergraduates have contributed more than 1.25 million hours, working in youth services, public policy, community development, education, the arts and conservation. Students address urban challenges in Seattle, for example, or serve migrant communities in Dublin. Through independent projects, they’ve worked with nonprofits in Madagascar, Tanzania and Japan. DukeEngage-Durham, the program Grace chose, exposes students to community-based economic development efforts in Durham, N.C., and its sister city of Durham, England. In England, Grace focused on helping men transition from homelessness. In North Carolina, she volunteered with the Community Empowerment Fund, a local nonprofit that offers financial education and support to people seeking employment, housing and economic stability. Among her other duties, she helped organize the 2017 Mayor’s Landlord Roundtable to encourage a conversation about affordable housing. Grace continues volunteering there, riding over on her bike twice a week. After she graduates, she thinks she might work at a nonprofit before earning an advanced degree in sociology or public policy. “DukeEngage really opens the door to service for students who might not otherwise consider it,” Grace says. “It provides an infrastructure to embark on meaningful change, but also to think about how you ethically do service for the rest of your life.” Read the full article.